Colby Black has a stressful job, he's a sniper with a hostage negotiation team. Sometimes things work out and he's not needed, and other times things don't work out, even if he's helped. That was the situation on the day that he met his new neighbor, Sophia. He had a terrible day at work and comes home to find his neighbor's house on fire. He knows that he needs to help and blindly rushes in, only to find Sophia trying to put out an oil fire in the kitchen. Luckily, they are able to put it out and the main damage looks to be easily scrub-able and smoke related. Colby is thrilled to have something new to clean, because he loves to clean when he's stressed, but Sophia seems really distant and not willing to let anyone into her life. Who can blame her? She is a woman on the run, not that she'd tell Colby this, but she was witness to a murder and since she disappeared, she's become a prime suspect. She's not sure just how everything fits together, but she knows that a close family friend was murdered in her dad's office at the family jewelry store. She doesn't know the man who she saw pulling the trigger, but she can recognize him, and they murderers appear to be hot on her trail. Is it safe for Sophia to tell Colby her troubles, or will that just put him in danger also? This was an awesome book! I loved the level of suspense that started almost with the very first page. Characters are very important to me, if I like them, I usually care about what happens to them, and these characters were very well written. I liked Colby especially, he had a few crazy quirks to his character that made me smile. The plot of this book was excellent too, I loved the level of action and suspense, waiting for a man with a gun to jump out at any moment. You won't regret reading this book! This book is actually the second in a series, but I haven't been able to read the first one yet and this one made perfect sense. I was sent an e-copy of this book by the author in exchange for an honest review. 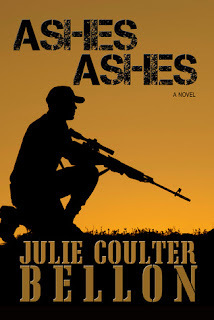 Julie Coulter Bellon loves to write international romantic suspense novels because she gets to travel to distant lands to research and add an authentic feel to all of her books. Her favorite cities so far are Athens, Paris, Ottawa, and London. She taught journalism at BYU for fourteen years and that kept her on the cutting edge of current events and world news¾which is where she gets her story ideas.